In these acclaimed essays, Jerry Dennis, widely recognized as one of our finest writers on nature and the outdoors, turns his attention to old passions and finds new reasons to appreciate them. 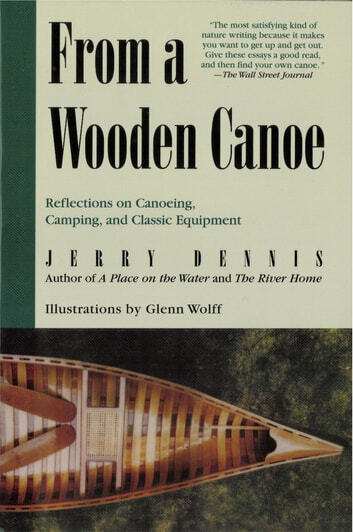 This engaging collection explores the quintessential American sports of canoeing and camping and pays tribute to the things worth keeping, from wooden canoes and pocket knives to cast-iron skillets, long-johns, canvas tents, and fine moments on the water. At a deeper level, it is about respect—for our possessions, for the natural world, for one another—and about the pleasures of a life well spent. 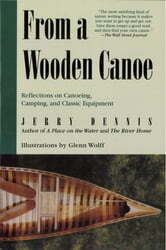 From a Wooden Canoe is a celebration of the good things and the simple pleasures of life outdoors. It is a book to be treasured, to be read on winter evenings and rainy afternoons, and to be kept handy on a cabin shelf.